We have some more updates for you today! 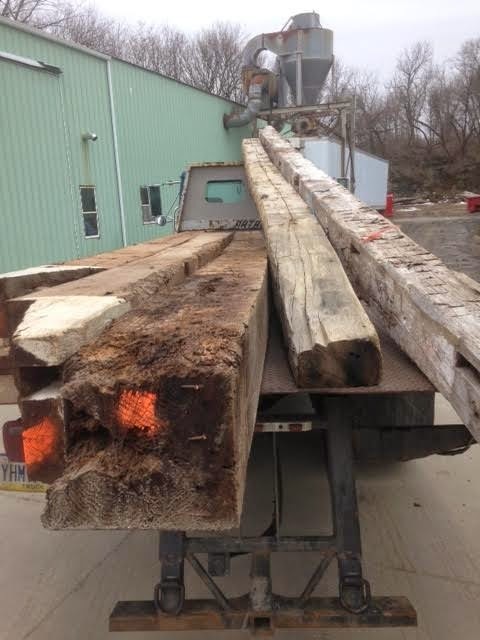 We purchased these large chestnut beams to help get some wide boards for order #9724. 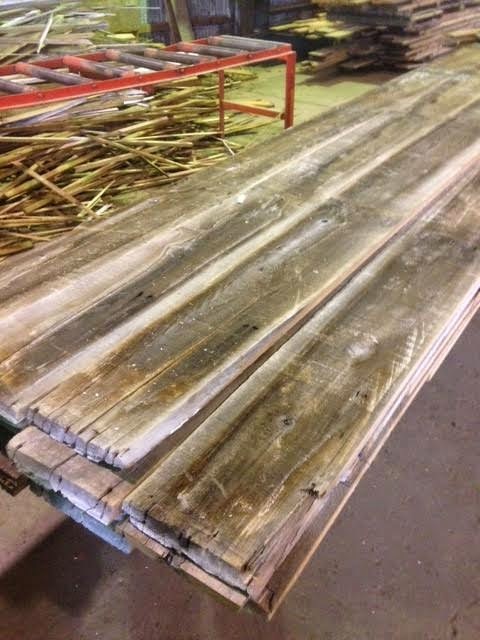 The nails will be taken out of them, and they will be sawn and placed in the drying room to finish the order next week. 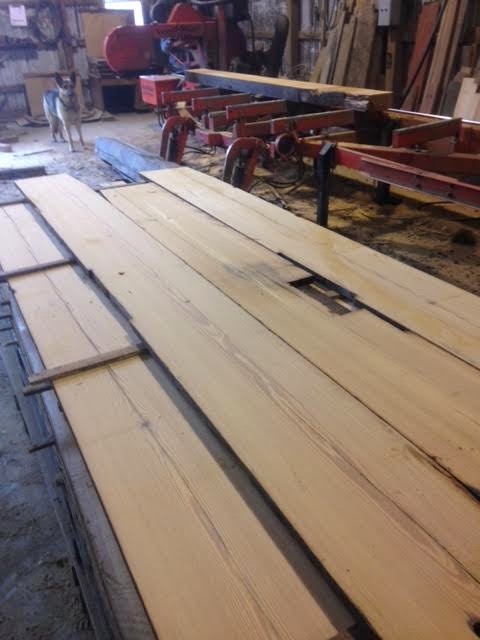 Jordan is cleaning and edging A LOT of siding that just finished its ten day cycle in the drying room. 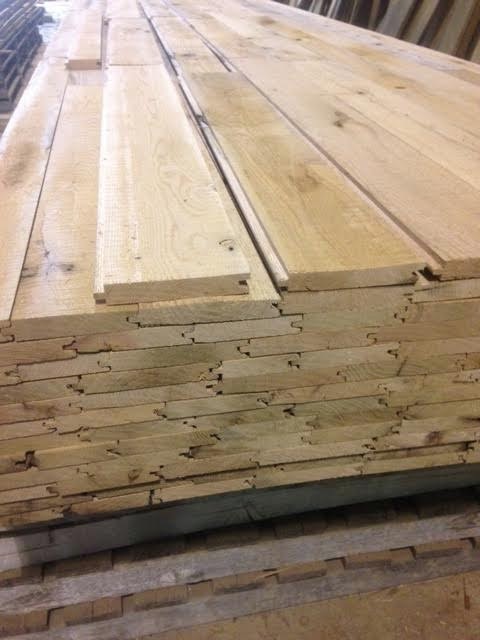 We are just 200 feet shy of finishing the second pack for order #9647 for 1430 square feet of Rustic Oak. 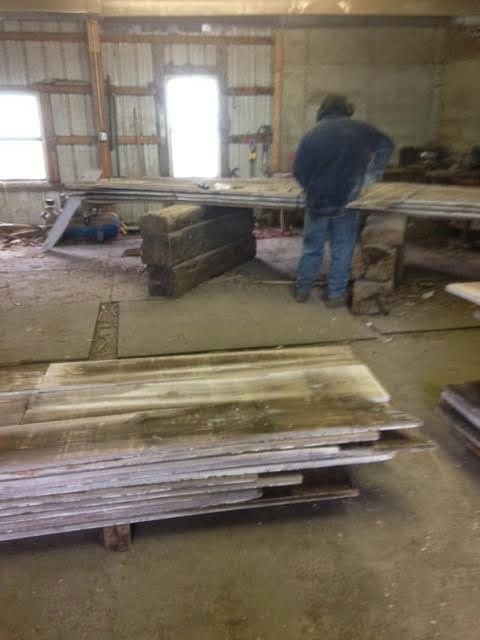 Tyler is working on another table order this week for order #9731. 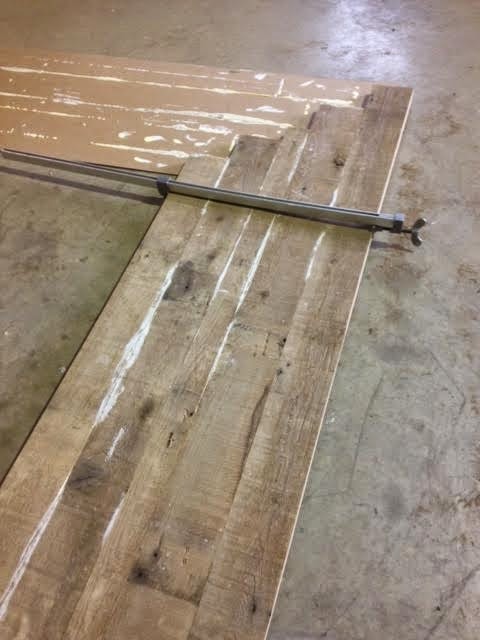 He just glued up two sides of a counter top that will be joined in the staggered corner. 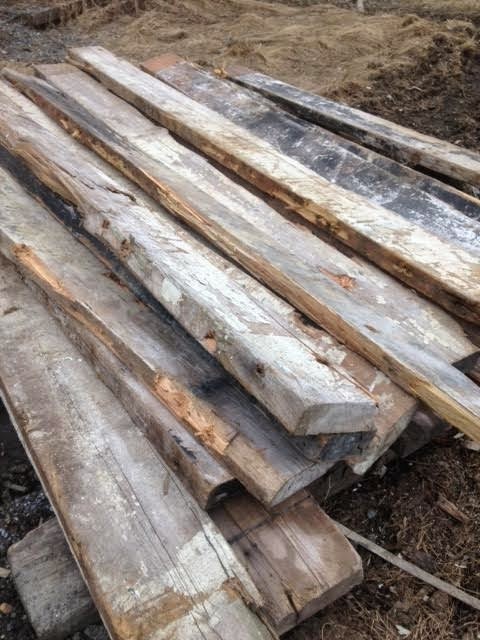 I am really excited to see how this one comes out! 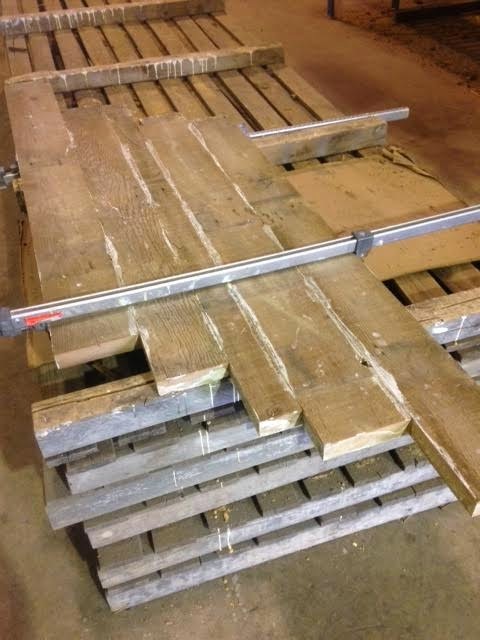 These Heart Pine floor joists are being sawn for order #9733. 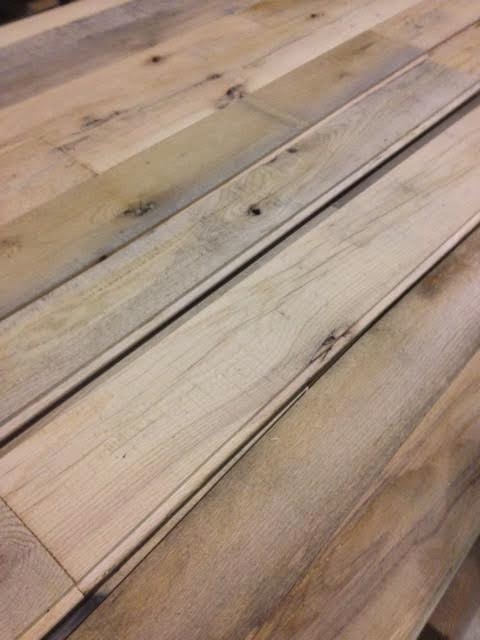 To think that this “junky” barn wood, that is typically counted out by many, can enter the reclaiming and restoring process to become some of the most beautiful, sought after, high end floors is incredible! 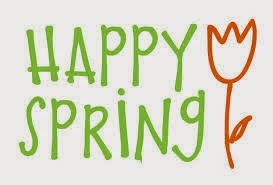 We hope that you are enjoying your Tuesday! Posted in Uncategorized on March 24, 2015 by sharp_admin.